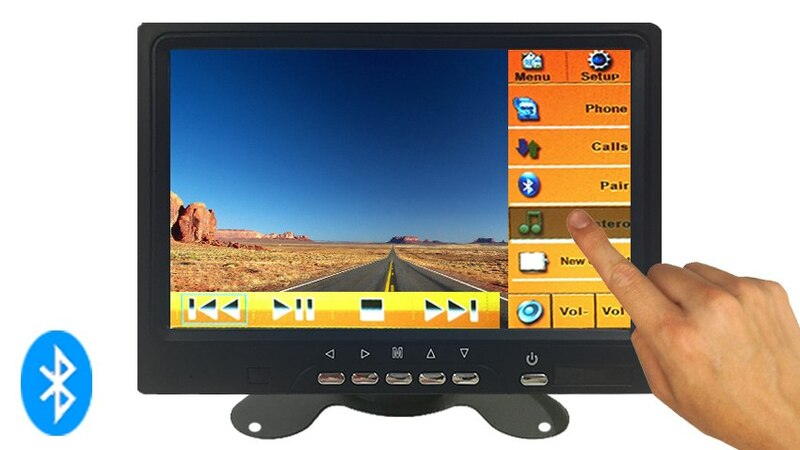 The crystal clear 7” LCD rear view monitor is a perfect addition to any driver that needs assistance backing up. See the whole world behind you in rich colors. The Monitor is also a touchscreen. This means you can press the buttons on the screen to operate it, much like a Smartphone. The monitor has a Media Play, Bluetooth Menu, Aux Menu, and Setup Menu. You can play videos and music through the monitor, it has a speaker built into it. The monitor can also stream your Bluetooth calls. So when somebody is calling you will see their name and number on the screen. You can also use the screen to make calls.